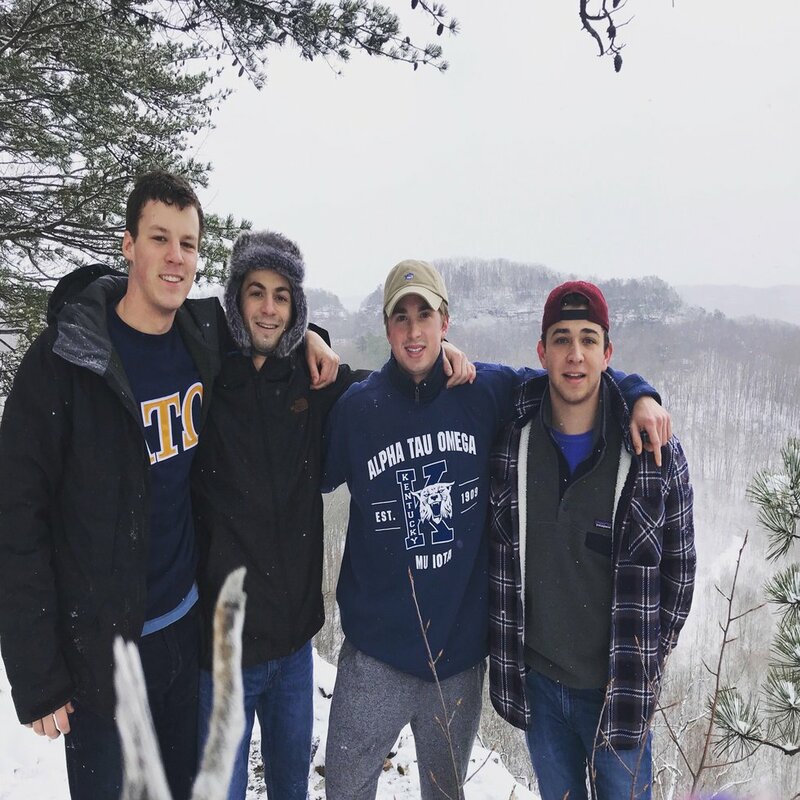 Alpha Tau Omega men shed light on the value Mu Iota has brought to their lives. I would never have imagined myself becoming so involved and genuinely passionate about supporting a group of fraternity men in my life, but here I am today doing just that. I entered my freshman year of college at the University of Kentucky knowing two guys from my hometown, but other than that I knew no one. Fast forward a year and I have found some of my closest friends through Alpha Tau Omega and for that, I am so grateful! This group of men possesses so many incredible qualities, and Mu Iota as a whole embodies what it is to be a true fraternity man. 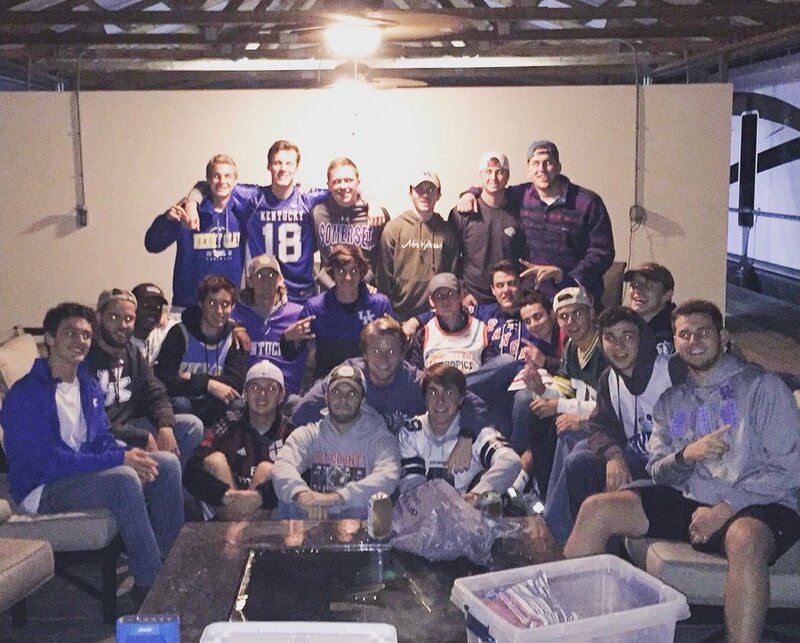 ATO is not your typical fraternity filled with a group of ignorant boys with zero ambition. In fact, they are the complete opposite. These guys are intelligent, ambitious, caring, and chose to be a part of something bigger than themselves. I am a Greek woman and fully understand the realm of sisterhood. However, I cannot speak on behalf of a Greek man and tell you what I find an incredible brotherhood to consist of. 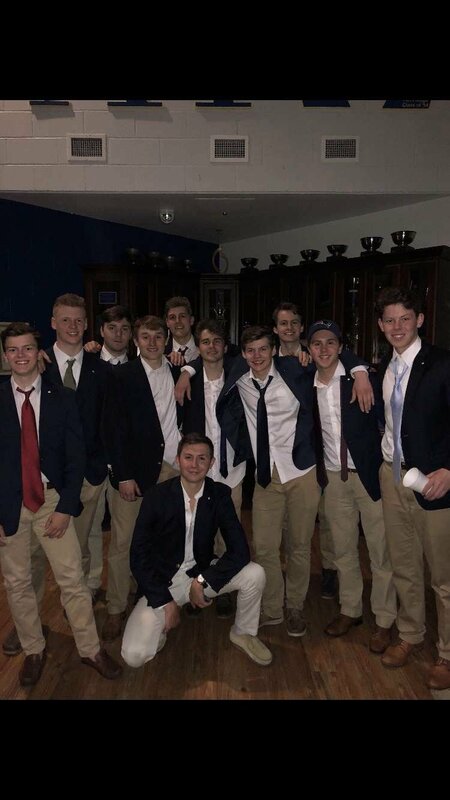 I will say though, from an outside perspective, I know the brotherhood of Alpha Tau Omega at the University of Kentucky is something special and I am happy these men are a part of it. The executive board of Mu Iota recently traveled to Orlando, Florida for the ATO National Congress. On Saturday, August 4, Mu Iota was presented with three very impressive accolades: Top National Chapter, True Merit Award, and the Storm Strap Award, which recognizes individuals who have been able to withstand and overcome chapter difficulties. 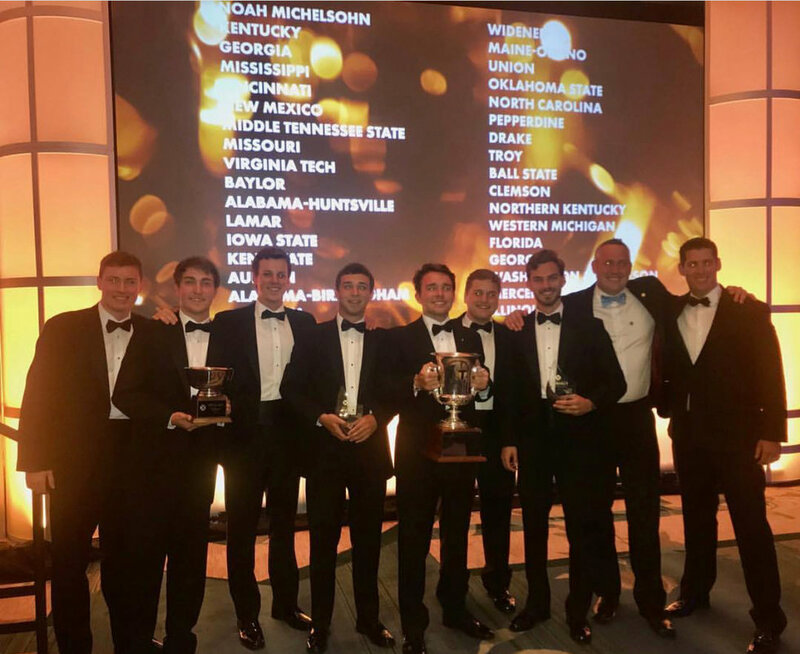 Not only did the men of Mu Iota get recognized nationally for being the top chapter, but they also received the Dean's Cup at the University of Kentucky for being a top chapter on campus. Accomplishments aside, the friends I have made in this fraternity are some of the most amazing guy friends I have ever had. They have my back like no other and are always here to support me and have a good time simultaneously. 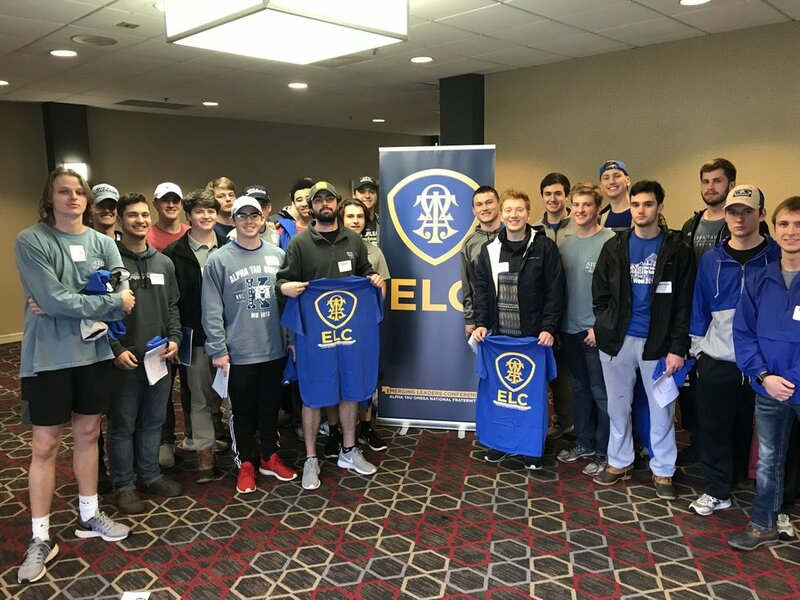 I interviewed a handful of guys in this chapter because not only do I want to shed light on the value Alpha Tau Omega has brought to these Greek men, but I also wanted to give an inside scoop to what it is like to be an ATO at UK! 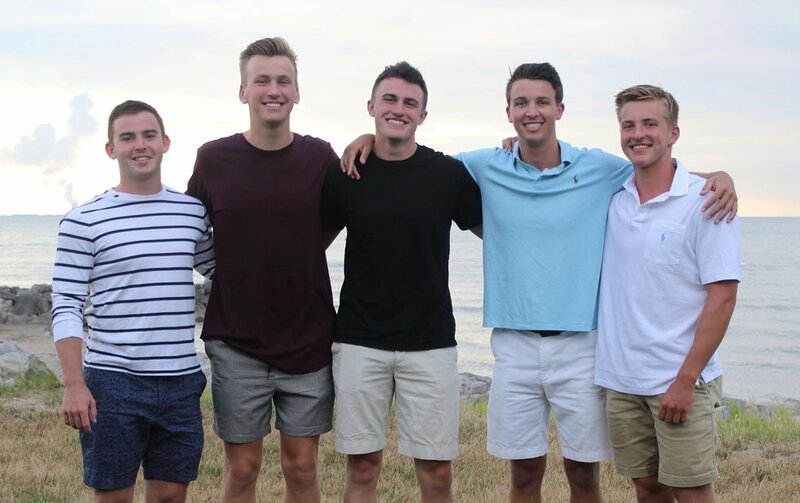 "It's impacted me in a lot of different ways, but more than anything it has introduced me to a lot of quality guys who strive to be successful and help push me to do the same. My favorite part about the chapter is the opportunities that it gives you throughout the school year and summer, and even after you graduate." "ATO made me branch out and become a better person, and I enjoy the brotherhood." "Over the past year that I have been a part of this chapter, I have learned so much about myself and the men I get to call brothers. I have gotten so immersed in the positive culture that ATO brings and I became a better man because of this chapter. When I came to Kentucky, I was so overwhelmed by the school but ATO made this huge university something to call home. The one thing that I enjoyed most about my freshman year is the amount of new friendships that I have made in every grade. I am so proud to be a part of this amazing chapter." "Well ATO has impacted me in a lot of ways, like making new friends and becoming more confident in myself and as a leader. It's helped me get better grades in school with studying and I've even been able to have connections to guys that can help me get great internship and Co-Op opportunities. My favorite thing is definitely the experiences we have together. We go on formals, rafting trips, vacations, and we meet up in each others' hometowns to hangout. It's great having those experiences and memories with each other!" 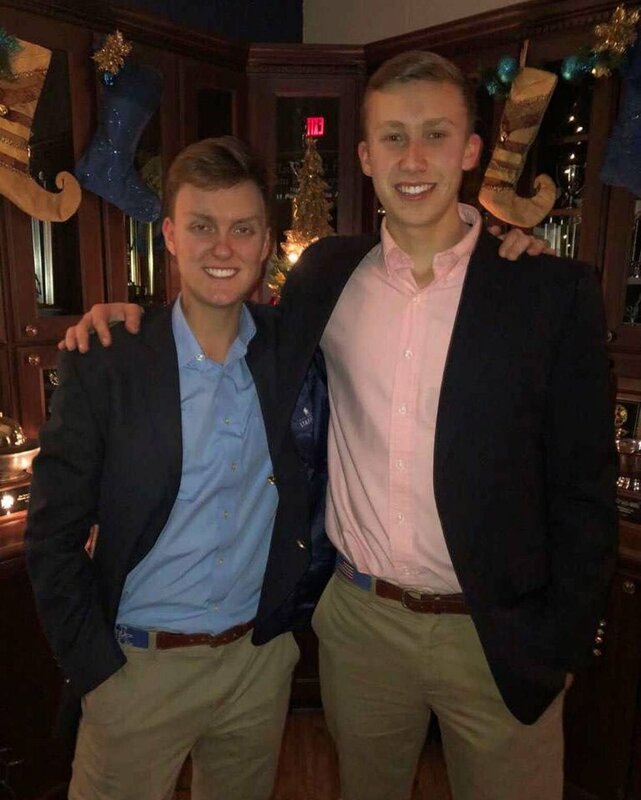 "Alpha Tau Omega has impacted me the most by allowing me to evolve my leadership skills to a point that I never thought was possible in a fraternity setting. The countless opportunities that I have been able to grasp before and after leading my chapter in the role of President, is something that I will cherish and fall back on for the rest of my life as I get ready to graduate and start my career." 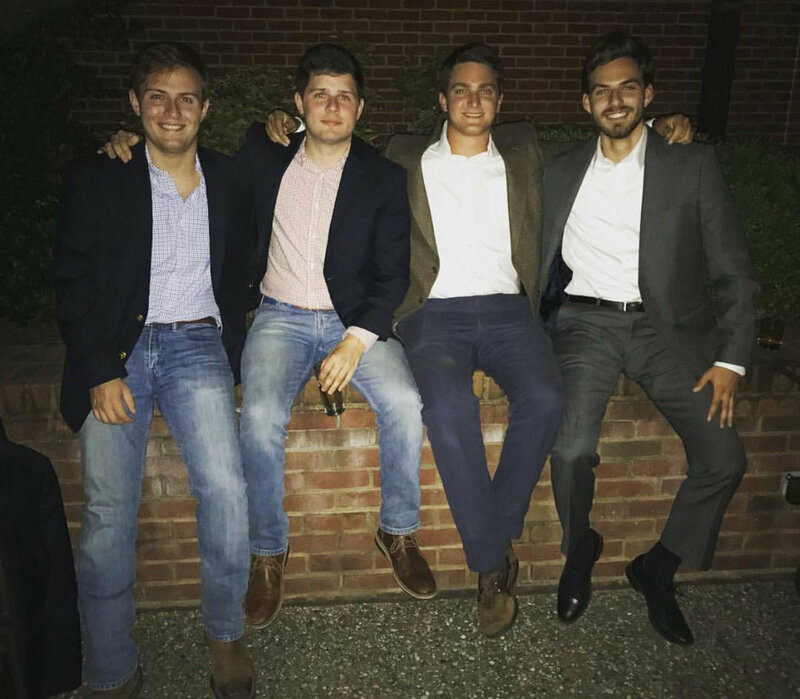 "ATO has basically made me who I am today, from the friendships I have made, the long nights I've experienced with everyone and the bonds that we've formed through the adversity that we experienced as a chapter. I wouldn't want to have any other people to call my brothers and even before I came to school I never had friends like this. I definitely enjoy the brotherhood the most of the chapter." "It has made me more self-assured and able to see myself in a new light. I enjoy our chapter's overall carefree attitude the most." 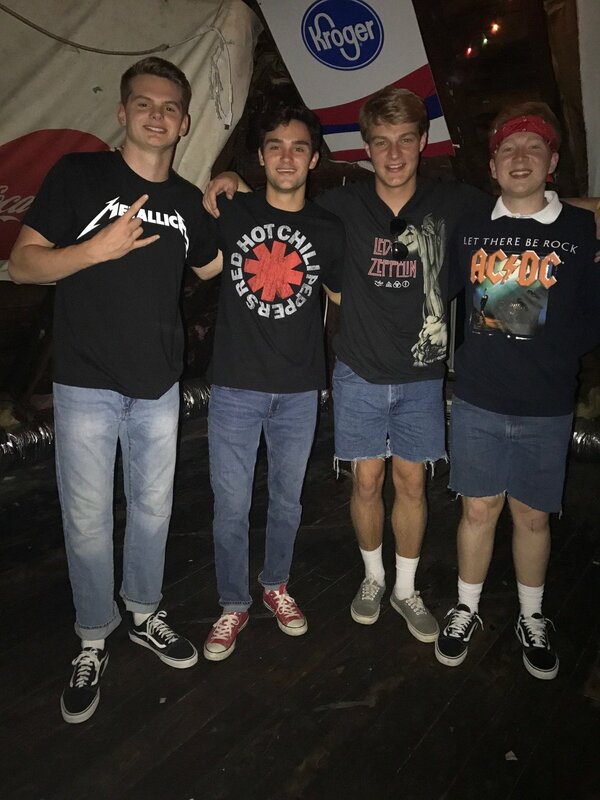 "ATO has really helped me better myself by challenging me in and out of the classroom and getting me to do things that may be out of my comfort zone, but ultimately make me a better person and student. 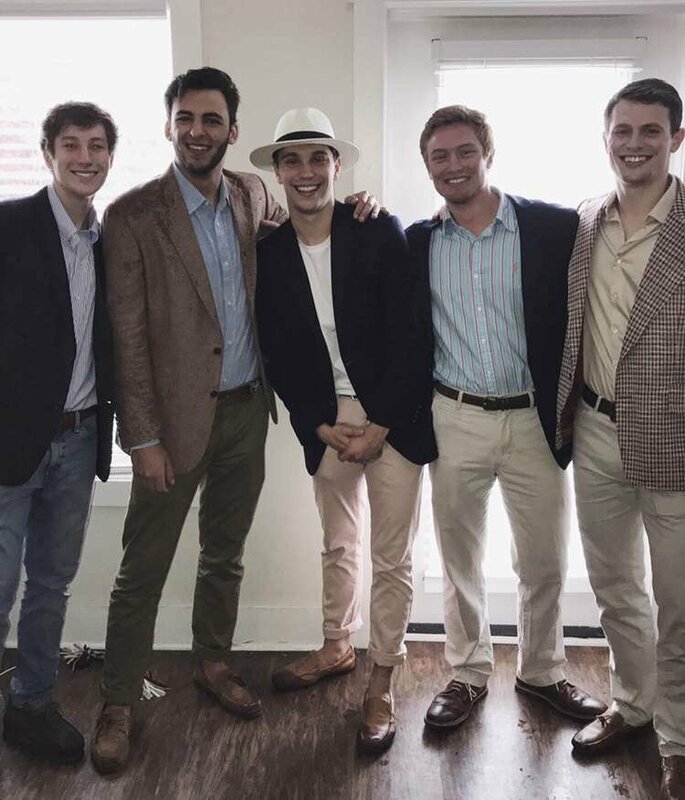 I enjoy the balance the most, meaning that while we do throw parties and have fun, everyone in the chapter understands that we are at college for the education and everyone tries to better one another each day so that we are prepared for the future and becoming a better man." "ATO has impacted me in a positive way by allowing me to be myself and how to be a man in my everyday chapter is that regardless of the situation, you can always count on people to have your back at all times." 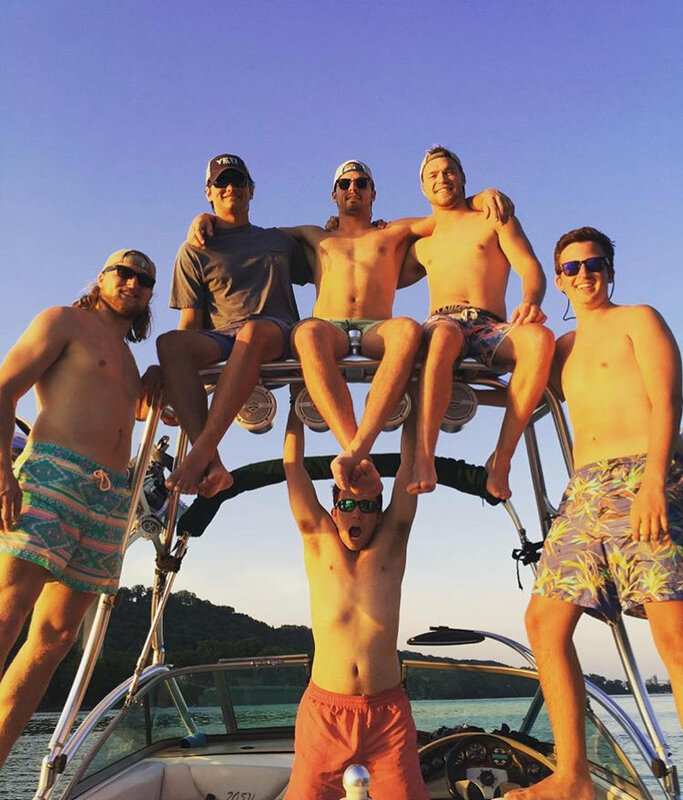 "I would not have the friends and brothers I have without ATO since I came from out of state. The best part was when I joined, no one was like us. It wasn't a popularity contest of who's cooler, we just all kinda fit together like puzzle pieces and we all were great friends without anyone trying to force us to be. 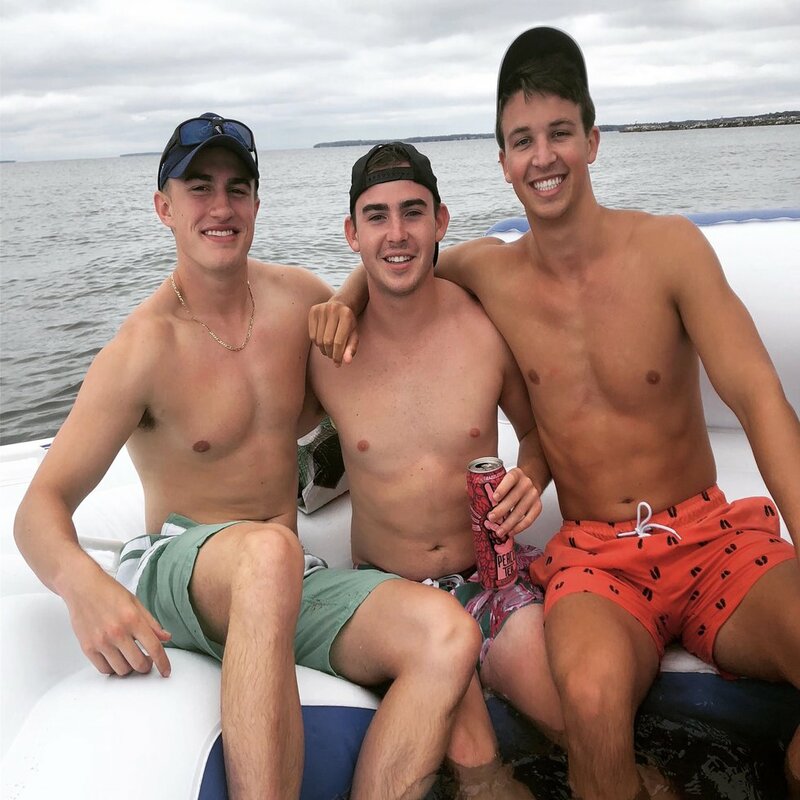 ATO did the best job at connecting different people and building lasting friendships." "Really it's just made me such a better and outgoing guy and showed me great values to follow. I probably enjoy the brotherhood and overall personality of the chapter as a whole the most!" "ATO has given me some of my best friends, guys that I know will still be around later in life. What I like most would have to be the fact that you aren't pressured to be someone you aren't. At ATO individuality is very important." "I enjoy our bond within the chapter the most. I feel like everyone respects each other and would go out of their way for a brother. It's impacted me a lot by giving me lifelong relationships with guys that have and will continue to support and help me." 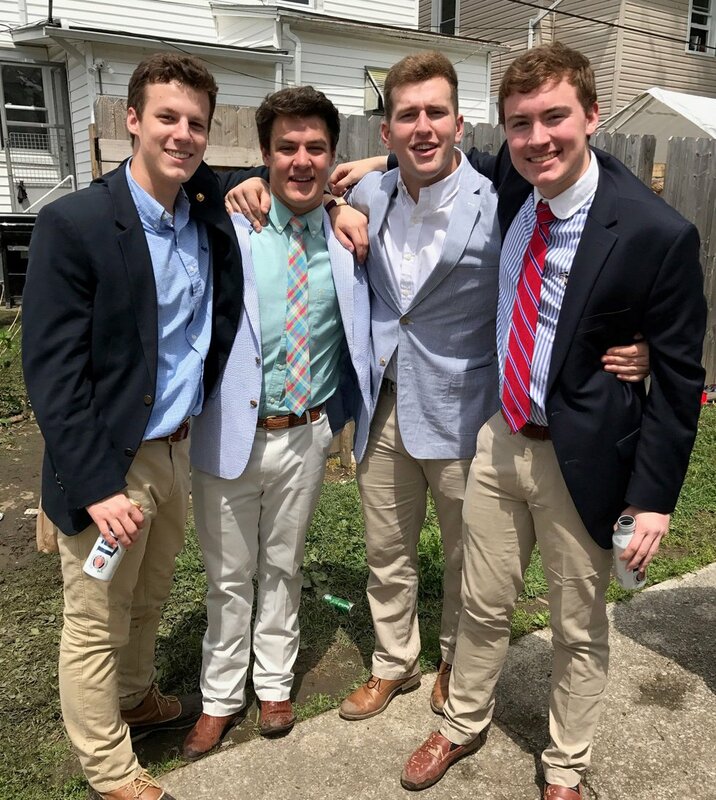 "The guys in ATO have helped shape me into the man I am today, and without their support and guidance I honestly have no clue where I would be today. My favorite part about Mu Iota is the range of diversity within the chapter. 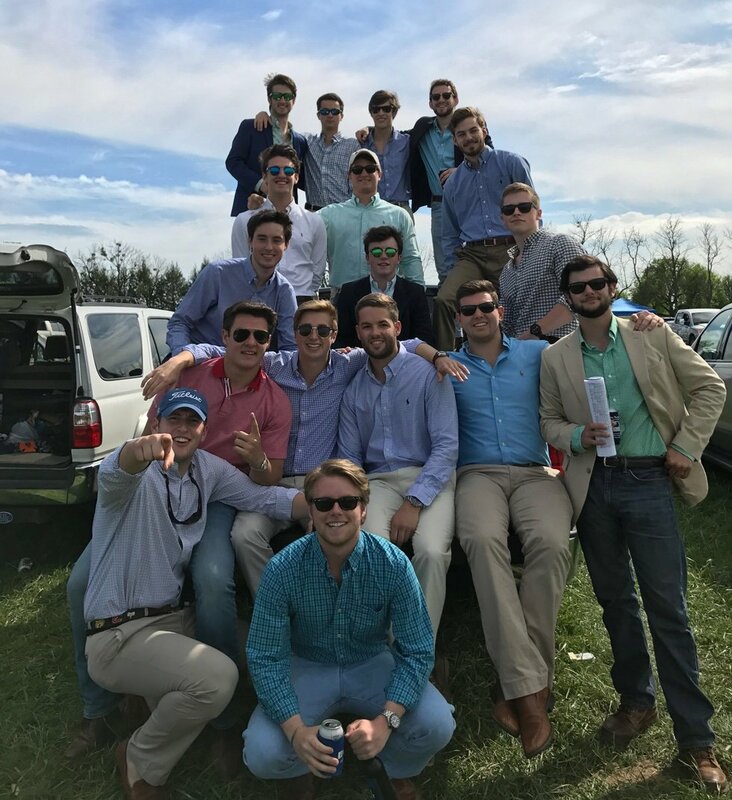 We all come from different cliques and backgrounds and have very different interests, but that is what makes us unique and it's something that many large groups of people can't relate to, especially when it comes to Greek life." 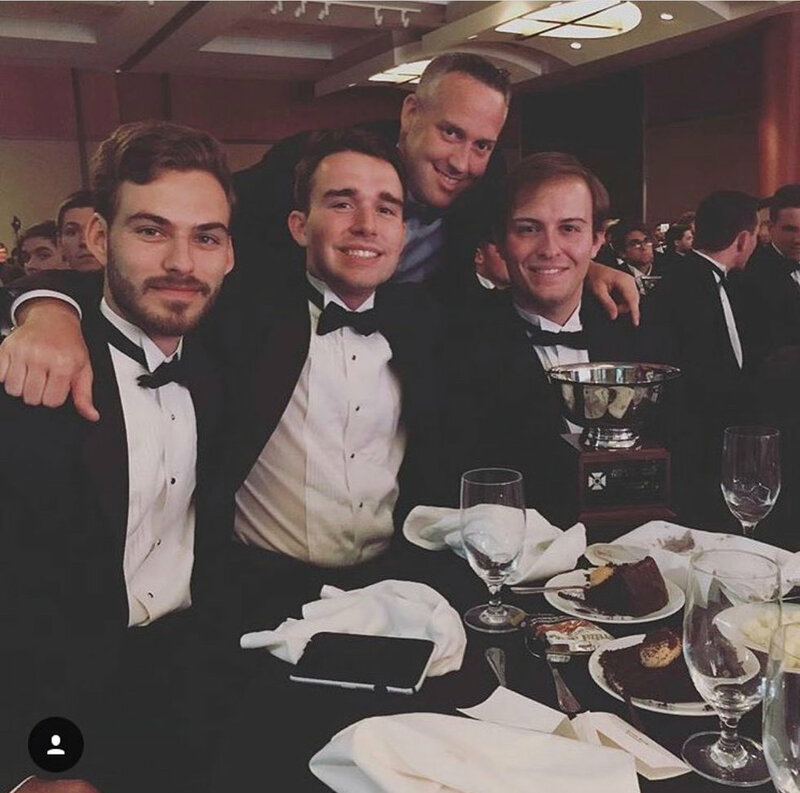 "The biggest impact of ATO is the connection I've been able to make both in friendship and business. Without ATO I would have missed out on once in a lifetime opportunities and experiences." "ATO has shaped me into a more well rounded and confident human being. I've learned to embrace who I am instead of acting like someone I am not around different types of people and I've learned to not be nervous about speaking up in different situations. My favorite part of my chapter is the genuine, friendly atmosphere. Everyone likes just about everyone in the chapter and I could sit down with any person and talk for a long time." "It has impacted me by opening up to new opportunities and kind of pushing me out of my comfort zone. 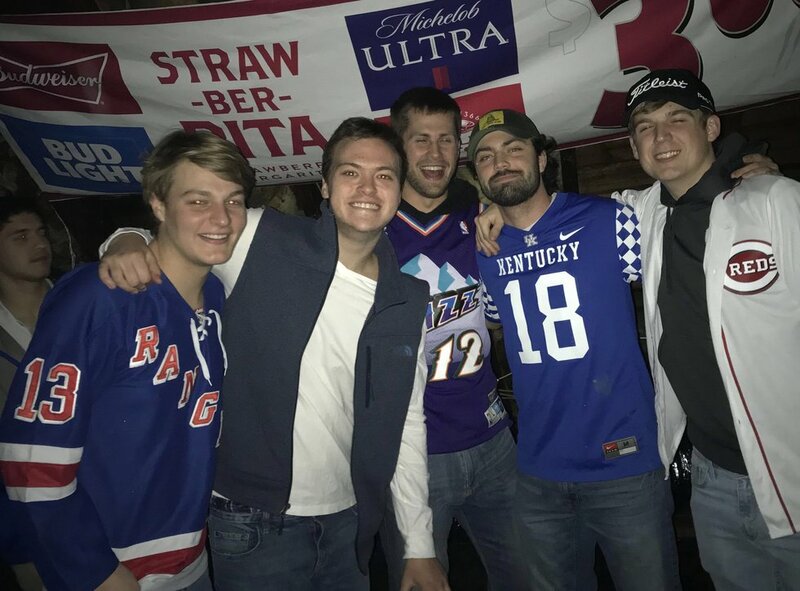 The best part about ATO is the friends and brothers that you meet over the years, especially at the University of Kentucky." "I enjoy how even if you are a freshman or a senior, grade level does not matter, everyone can hangout with anyone regardless of the age gap. 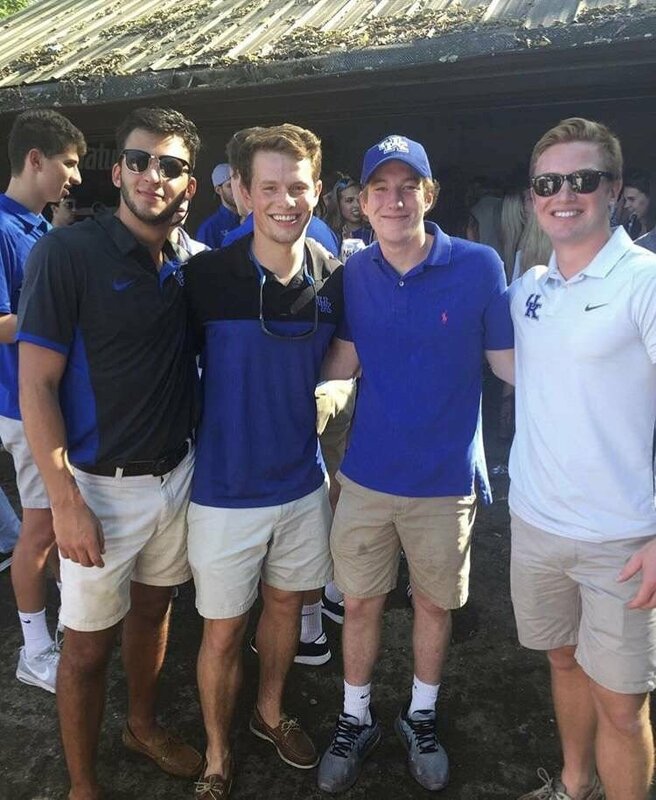 A way ATO has impacted me was that after becoming apart of ATO it made UK's campus feel smaller whether it be through having classes with brothers or just passing each other and conversing quickly in between classes." "The attribute I enjoy most about being an ATO at UK is the immense feeling of love and respect I get from all of my brothers. At ATO we have so many different walks of life that were all brought together for a variety of reasons. At ATO I have never felt like I have been judged based on my hometown, high school, or major, but my character and the values I hold. 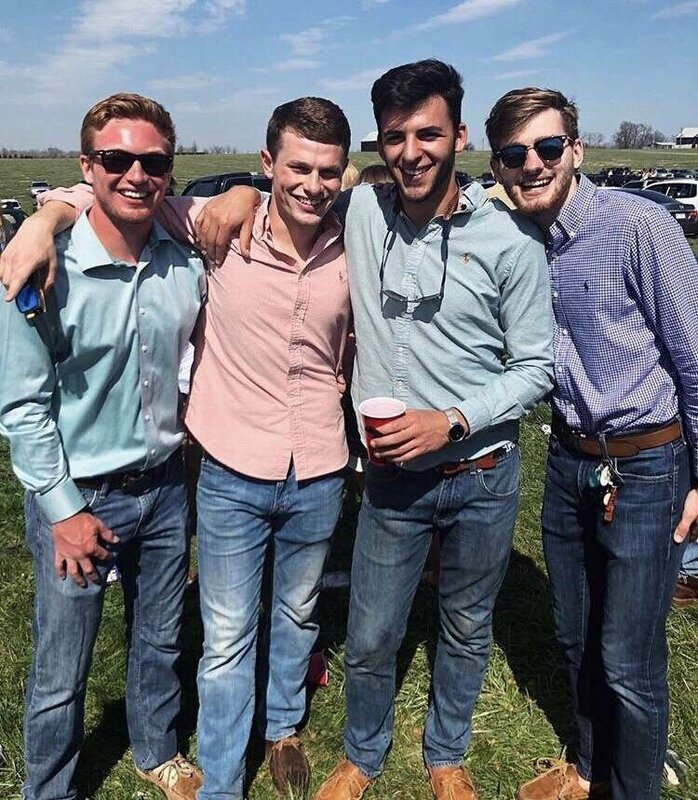 By respecting each other as individuals and really getting to know one another on a deeper level, it changes your relationships with the guys around you from casual friends to someone you are proud to call your brother. 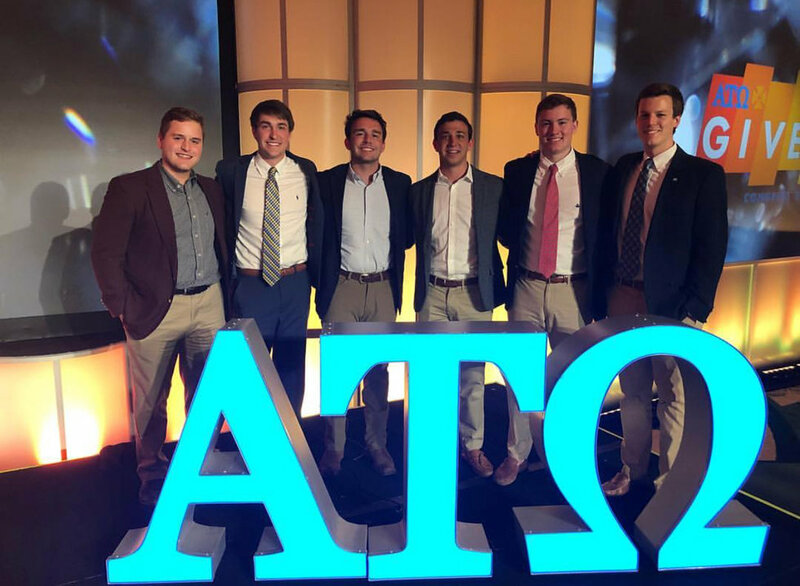 That feeling of brotherhood has allowed me to carry myself with more confidence, allowed me to feel comfortable in the classroom, make me want to serve my community, and connected me to thousands of alumni that are proud to be ATOs that can help guide me into a desired career field. 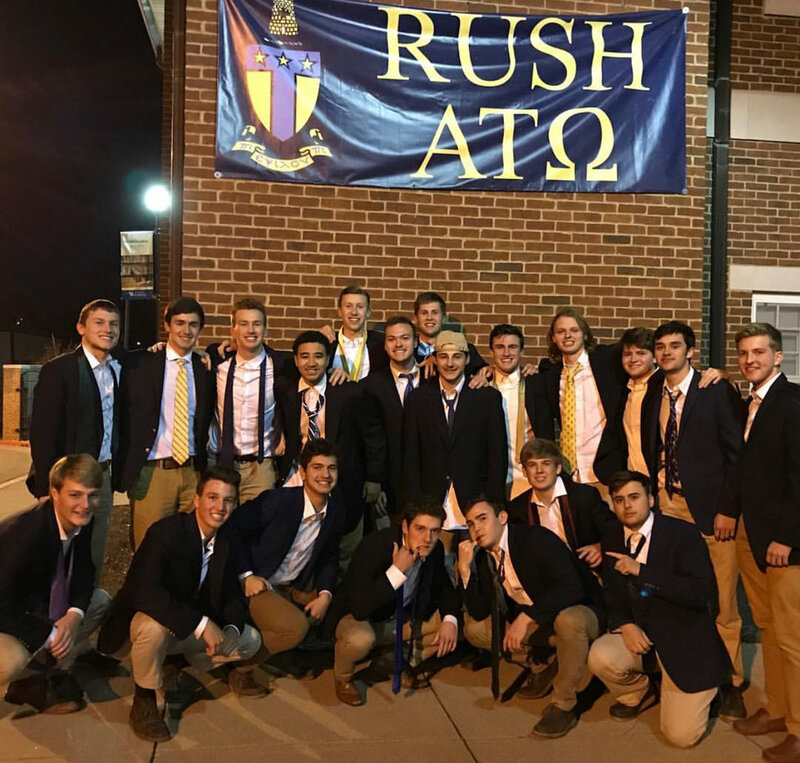 Those are just a few ways the ATO Mu Iota chapter has changed me here at the University of Kentucky." "Winning Top Chapter sort of flipped a switch in my mind that forced me to reflect on my three years as a Tau. I remember rushing as a freshman really having no idea what I was looking for or what was in store, but when I got to ATO, it just felt right. Today when I talk to my best friends, my brothers, they all share a similar story. ATO is our home. For three years I've been continuously pushed by my brothers to not only dream big, but work hard to ensure a brighter future. It's been an incredible journey, and when they called Mu Iota to the stage to receive the top chapter award, I knew that it was all worth it. My brothers and I have left a legacy we can be proud of."